Being the capital of Zeeland, Middelburg must keep its reputation upright. The historical content of the city is being combined with all kinds of facilities from the modern days. Between the beautiful old premises and monuments you can experience the atmosphere of earlier days. The different activities and high quality hospitality options guarantee that you will have the extra luxury which you would have during any vacation. The most important sights in Middelburg are the Abdij (Abbey), the Lange Jan, and the old town hall. These three historical buildings are situated only tens of meters apart from each other. The Abdij (Abbey) is situated in the center of the city and exists of a rounding building with multiple towers, various ports with the Abdijplein in the middle. During the summer a lot of events are hosted here. You can also visit the Zeeuws Museum or you could sit down at the terrace of the café. The “Lange Jan” is one of the towers of the Abdij (Abbey). This tower measures ninety meters in height and counts 207 steps. On clear days you can enjoy a beautiful view over the peninsula Walcheren. Behind the Abdij (Abbey) there are many historical streets with a lot of national monuments such as: Dam, Spanjaardstraat and the Dam Square. The old town hall of Middelburg is situated at the Markt. It has been chosen to be the second most beautiful building of The Netherlands. The town hall has a facade with gothic windows, red-white shutters, turrets and 25 images of Zeeland counts and countesses. The town hall has a tower with a clock and a carillon. Nowadays the town hall is only being used for weddings, since 2004 the Roosevelt Academy is established in the building. 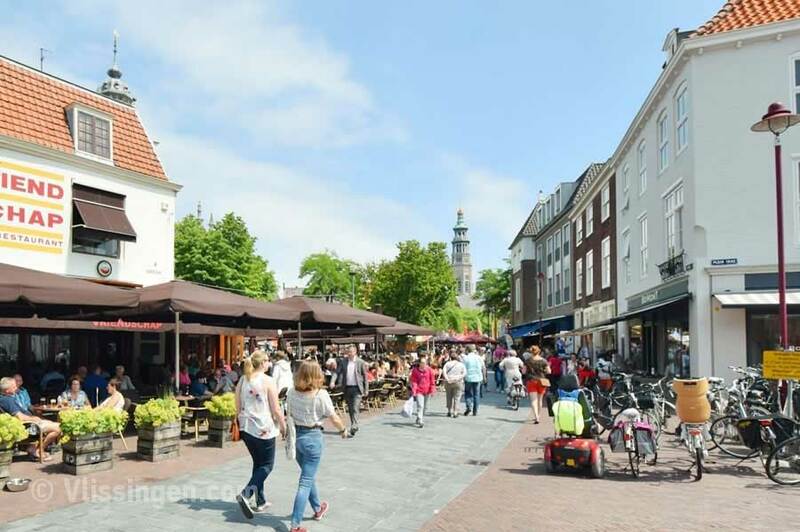 Middelburg is a city with its own character and it has a sociable shopping center. There are intimate squares, nice streets, cozy café’s and next to the big stores you will also find special boutiques, galleries and art trades. The weekly shopping night takes place on Thursdays until 21.00. Every first Sunday of the month there is Sunday shopping; many shops are opened on that day from 13.00 to 17.00. 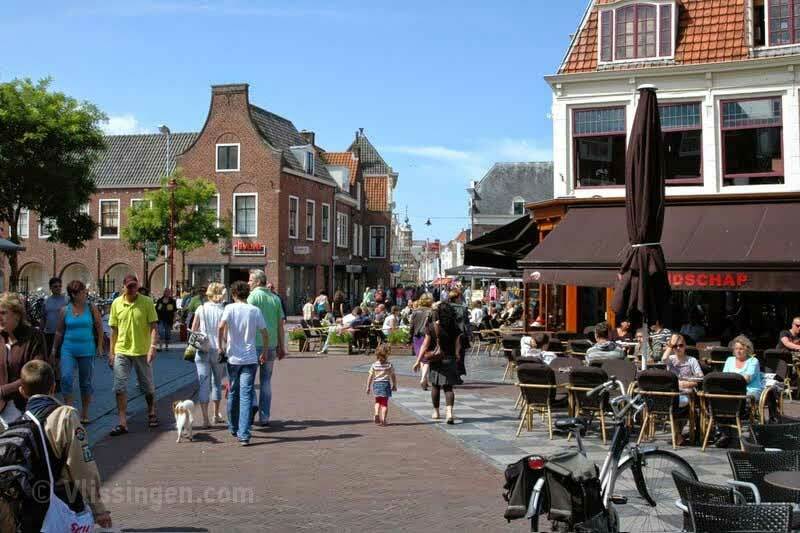 Every Thursday one of the biggest weekly markets in Zeeland is being held on the Markt in Middelburg. You can visit stands with meat, vegetables, fruit and clothing. Besides historical monuments, there is also a lot of modern architectures. 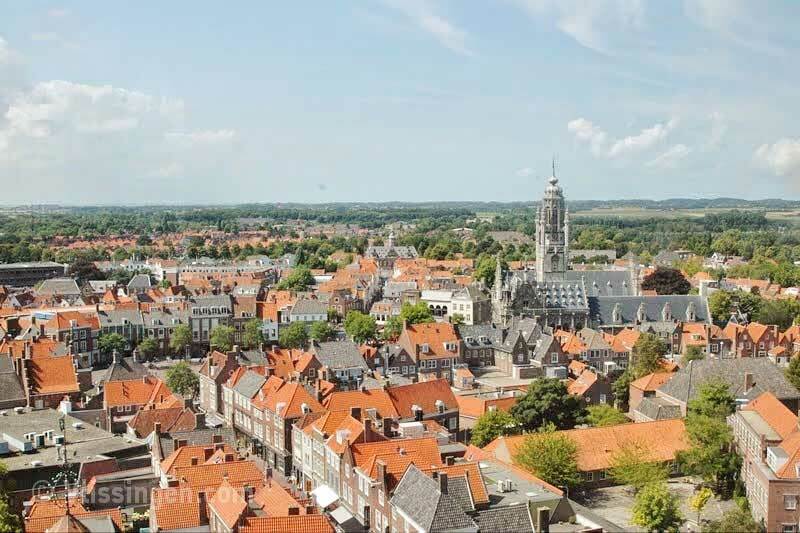 Once you have discovered Middelburg, the city will leave its visitors impressed, whether they’re young or old. Boat tours, museums, entertainment; it’s all there. Annually, various events will be organized as well. Such as weekly antique markets, the Jazzfestival, night markets, fairs, different live performances and the annual street parade. Whenever you are in Middeburg, you must pay a visit to Veere as well.